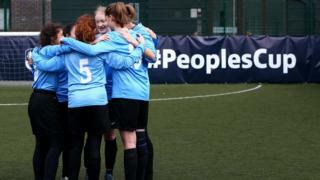 The FA People's Cup opening round saw 35,000 players competing. Here's a trailer to whet your appetite. If you want to watch the full highlights you can find them on the iPlayer. For more information about how to get into football, click here.